Our campaign is blessed to have such strong grassroots support. Early voting is only days away, and momentum is squarely behind us. Adding to our grassroots momentum, today I’m proud to announce the endorsement of Young Conservatives of Texas! 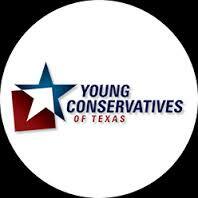 YCT is the state’s most active conservative youth organization with Texas’ oldest legislative scorecard. They were instrumental in the grassroots movement behind President Ronald Reagan, and have been in getting conservatives elected in Texas ever since. Early voting is just days away! Help us get out the vote by donating $5, $10, or $25 today!